by Rev. Fr. Michael Mueller C.SS.R. Written to give Catholics an appreciation of the value of the Mass. 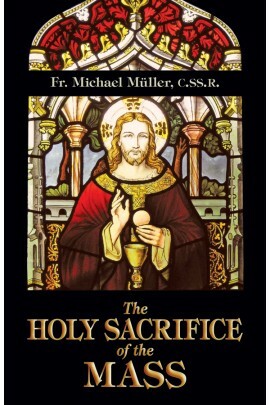 Considers it from every conceivable angle, showing it to be the central aspect of our faith, and in the process he touches on virtually every important facet of our faith, explaining how it is tied to this supreme sacrifice. Contains a wealth of Catholic traditions, Biblical facts, and enthralling, true stories from history and the lives of the Saints.